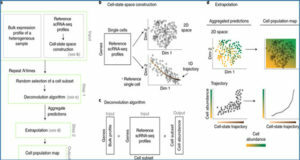 Several recent studies focus on the inference of developmental and response trajectories from single cell RNA-Seq (scRNA-Seq) data. A number of computational methods, often referred to as pseudo-time ordering, have been developed for this task. Recently, CRISPR has also been used to reconstruct lineage trees by inserting random mutations. However, both approaches suffer from drawbacks that limit their use. 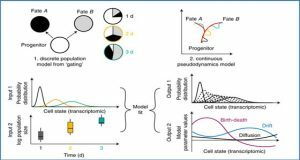 Here, Carnegie Mellon University researchers develop a method to detect significant, cell type specific, sequence mutations from scRNA-Seq data. They show that only a few mutations are enough for reconstructing good branching models. Integrating these mutations with expression data further improves the accuracy of the reconstructed models. 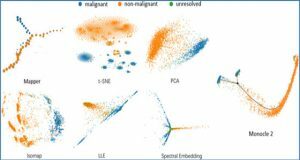 As the researchers show, the majority of mutations they identify are likely RNA editing events indicating that such information can be used to distinguish cell types. 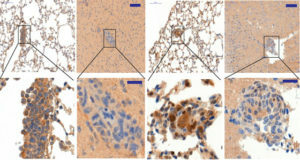 (A) Cells used in the study. 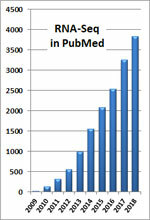 (B) Reads are mapped to the reference genome. 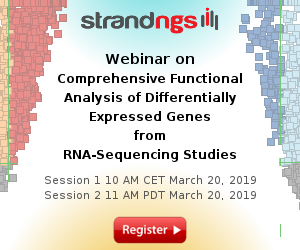 (C and D) Reads are used to determine expression levels and to identify SNPs. 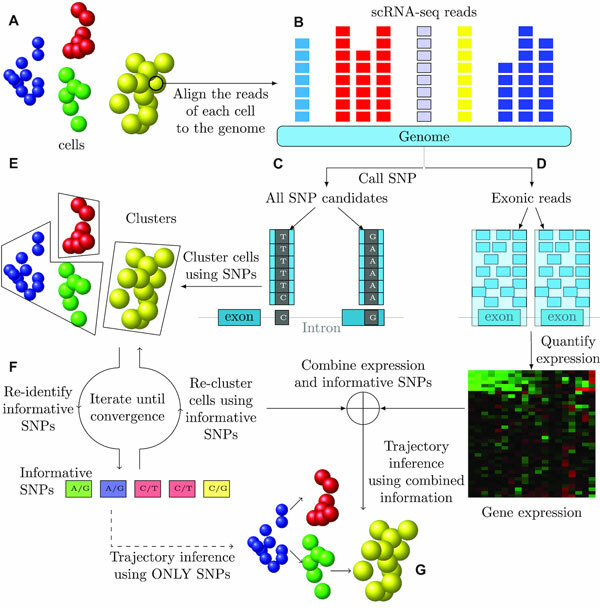 (E) Cells are clustered based on identified SNPs. 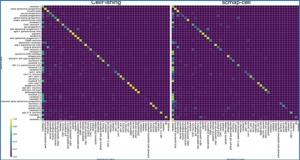 (F) Iterating between selecting a subset of key SNPs and clustering using selected SNPs. 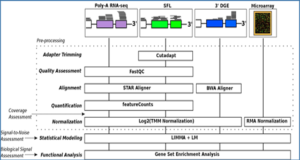 Once a set of key SNPs is established, it is combined with expression values to determine the branching model. (G) Final predicted trajectories (using SNPs and/or expression information).